The outreach opportunities at St. John’s are diverse and rewarding. One way to help our neighbors in need is by participating in St. John's Blue Bag Ministry. 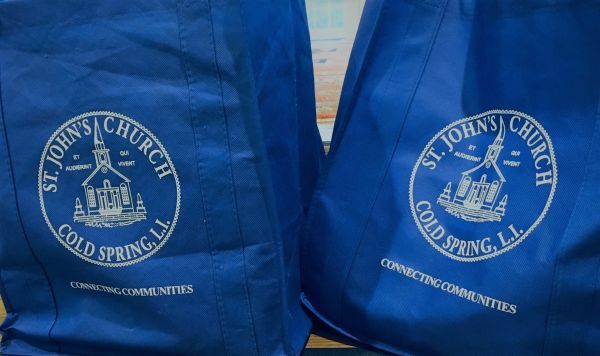 Pick up a special St. John's Blue Bag from the closet outside Bleecker Hall anytime throughout the year. Return the bag to St. John’s on Sunday filled with non-perishable food and personal care items which are then given to the Community Food Council. Click here for a helpful Blue Bag Ministry Shopping List.